This work aims to verify the feasibility of utilizing coconut milk as the alkali activator solution in geopolymer production and the impact on mortar properties; geopolymer mortar is still more expensive than ordinary Portland cement mortar simply because the cost of alkali solution. Coconut milk is extensively available in Malaysia and very rich in potassium and sodium. In this research, the coconut milk was used as alkali solution (100%) at first, and then replaced by NaOH, Na2SiO3 and in the last stage mixed with NaOH and Na2SiO3 at 50%. Normal solution component of Na2SiO3 and NaOH with 8 M, and used as control samples. Binder to fine aggregate (B:A) and solution to binder (S:B) ratios were fixed at 1.5 and 0.30 respectively. Multi blend binder based geopolymer mortar are used in this study. The samples were cured with different conditions, cured at room temperature and oven temperature of 60 and 90°C. Compressive strength tests were carried out to determine the properties of hardened mortar. The samples prepared with coconut milk showed low compressive strength as compared to control samples, The results demonstrated that using coconut milk as alternative to alkali solution in geopolymer industry is not a viable option. Hardjito, D., Wallah, S. E., Sumajouw, D. M. and Rangan, B. V. 2004. Factors Influencing The Compressive Strength Of Fly Ash-Based Geopolymer Concrete. Civil Engineering Dimension. 6(2): 88. Mahasenan, N., Smith, S., Humphreys, K. and Kaya, Y. 2003. The Cement Industry And Global Climate Change: Current And Potential Future Cement Industry CO2 Emissions. Greenhouse Gas Control Technologies-6th International Conference. August 2003. 995-1000. Gartner, E. 2004. Industrially Interesting Approaches To “Low-CO2” Cements. Cement and Concrete Research. 34(9): 1489-1498. Singh, N. B. and Middendorf, B. 2008. Chemistry Of Blended Cements Part-I: Natural Pozzolanas, Fly Ashes And Granulated Blast Furnace Slags. Cement International. 6(4): 76-91. Singh, N. B. and Middendorf, B. 2009. Chemistry Of Blended Cements Part-II: Silica Fume, Metakaolin, Reactive Ashes From Agricultural Wastes, Inert Materials And Non-Portland Blended Cements. Cement International. 7(6). Abdulkareem, O. A., Mustafa, A. M., Bakri, AI., Kamarudin, H., et al. 2014. Effects Of Elevated Temperatures On The Thermal Behavior And Mechanical Performance Of Fly Ash Geopolymer Paste, Mortar And Lightweight Concrete. Construction Building Materials. 50: 377-87. Suhendro, B. 2014. Toward Green Concrete For Better Sustainable Environment. Procedia Engineering. 95: 305-320. Cox, P. M., Betts, R. A., Jones, C. D., Spall, S. A., and Totterdell, I. J. 2000. Acceleration Of Global Warming Due To Carbon-Cycle Feedbacks In A Coupled Climate Model. Nature. 408(6809): 184-187. Bondar, D. 2013. Geo-polymer Concrete as a New Type of Sustainable Construction Materials. Proceedings of the Third International Conference on Sustainable Construction Materials and Technologies (ICSCMT). Kyoto. Japan. 18-21 Aygust 2013. 780-786. Pacheco-Torgal, F., Castro-Gom, J., and Jalali, S. 2008. Alkali-activated Binders: A Review: Part 1. Historical Background, Terminology, Reaction Mechanisms And Hydration Products. Construction and Building Materials. 22(7): 1305-1314. Komintsas, K., and Zaharaki, D. 2007. Geopolymerisation: A Review And Prospects For The Mineral Industry. Mineral Engineering. 20: 1261-1277. Palomo, A., Grutzeck, M. W., and Blanco, M. T. 1999. Alkali-Activated Fly Ashes: A Cement For The Future. Cement and Concrete Research. 29(8):1323-1329. Yahya, Z., Abdullah, M. M. A. B., Hussin, K., Ismail, K. N., Razak, R. A., and Sandu, A. V. 2015. Effect of Solids-To- Liquids, Na2SiO3-To-NaOH and Curing Temperature on the Palm Oil Boiler Ash (Si+ Ca) Geopolymerisation System. Materials. 8(5): 2227-2242. Sanni, S. H., and Khadiranaikar, R. B. 2013. Performance of Alkaline Solutions on Grades Of Geopolymer Concrete. 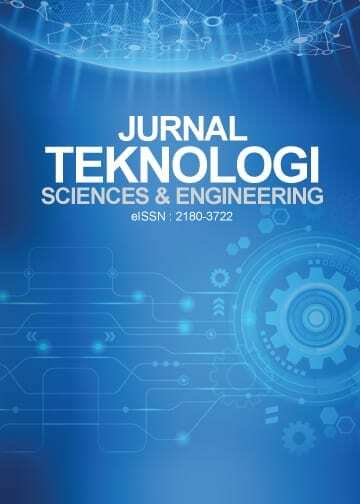 International Journal of Research in Engineering and Technology. 2(11): 366-371. Ariffin, M. A. M., Bhutta, M. A. R., Hussin, M. W., Tahir, M. M., and Aziah, N. 2013. Sulfuric Acid Resistance Of Blended Ash Geopolymer Concrete. Construction and Building Materials. 43: 80-86. Bhutta, M. A. R., Ariffin, N. F., Hussin, M. W., and Lim, N. H. A. S. 2013. Sulfate and Sulfuric Acid Resistance of Geopolymer Mortars Using Waste Blended Ash. Jurnal Teknologi. 61(3). 1-5. Hussin, M. W., Bhutta, M. A. R., Azreen, M., Ramadhansyah P. J., and Mirza, J. 2015. Performance Of Blended Ash Geopolymer Concrete At Elevated Temperatures. Materials and Structures. 48(3): 709-720. Ismail, M., Yusuf, T. O., Noruzman, A. H., and Hassan, I. O. 2013, July. Early Strength Characteristics of Palm Oil Fuel Ash and Metakaolin blended Geopolymer Mortar. Advanced Materials Research. 690: 1045-1048. Ariffin, M. A., Hussin, M. W., Samadi, M., Lim, N. H. A. S., Mirza, J., Awalluddin, D., and Othman, N. 2015. Effect Of Ceramic Aggregate On High Strength Multi Blended Ash Geopolymer Mortar. Jurnal Teknologi. 77(16): 33-36. Xu, H., and Van Deventer, J. S. J. 2000. The Geopolymerisation Of Alumino-Silicate Minerals. International Journal of Mineral Processing. 59(3): 247-266. Mathew, M. B. J., Sudhakar, M. M., and Natarajan, D. C. 2013. Strength, Economic And Sustainability Characteristics Of Coal Ash–GGBS Based Geopolymer Concrete. International Journal of Computational Engineering Research. 3(1): 207-212. Yong, J. W., Ge, L., Ng, Y. F., and Tan, S. N. 2009. The Chemical Composition And Biological Properties Of Coconut (Cocos nucifera L.) water. Molecules. 14(12): 5144-5164. Vickers, L., Van Riessen, A. and Rickard, W. D. 2015. Fire- Resistant Geopolymers: Role of Fibres and Fillers to Enhance Thermal Properties. Springer. Alyaqoubi, S., Abdullah, A., Samudi, M., Abdullah, N., Addai, Z. R. and Musa, K. H. 2015. Study Of Antioxidant Activity And Physicochemical Properties Of Coconut Milk(Pati Santan) In Malaysia. Journal of Chemical and Pharmaceutical Research. 7(4): 967-973. Huseien, G. F., Mirza, J., Ismail, M. and Hussin, M. W. 2016. Influence Of Different Curing Temperatures And Alkali Activators On Properties Of GBFS Geopolymer Mortars Containing Fly Ash And Palm-Oil Fuel Ash. Construction and Building Materials. 125: 1229-1240. Copyright © 2012 Penerbit UTM Press, Universiti Teknologi Malaysia.